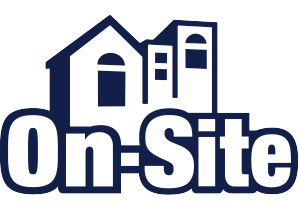 On-Site.com provides a software-as-a-service platform that streamlines the process of renting an apartment, from listing to lease and everything in between including websites, advertising, lead management, online applications, background checks, payments and e-signatures. Take some time to just really learn how it works and how it can best meet your personal needs! We are able to quickly locate leases and other forms that have been submitted to us. I can access recent payments and resident portals which often enables me to better see the issues that they are facing when they can't figure something out since I can basically see the exact same screen that they are. It's not that I dislike On-site, I just think Entrata is more user friendly and easier to navigate through. I don't like that you have to click the print button to "sign" a lease...that doesn't make much sense to me. I also don't like having On-site and Onesite separated. I think it would be more beneficial for properties to just have one website for everything. I don't really feel any problems have been "solved" with On-site at our property. What Property Management solution do you use? "Service you can count on"
I have to say the E-sign product I like the best because we are providing faster service to our residents. It saves our staff several hours every week that they could spend on retention and follow up. The Esign product was our first step in our initiative to go paperless. There is nothing at this time that I do not like about On-Site services. If you are using Yardi software and you are tired of FALSE integration promises and just want the service to work, save you time, money, and headaches...then use ON-Site. The representatives will hold your hand and stay with you years after implementation. They continue to improve services and still to this day (over 7 years later) they follow up to see if there is more they could offer us or assist us with. All around a great company to partner with. Utilizing the Esign has saved our staff and clients hours of time per week by not having to print, read, disclose, review, call, drive, come in the office and sign 15 pages of the lease. It is now a just a few clicks and minutes later the lease is signed and saved to the cloud. The prospect screening has been the ONLY outside service to integrate with Yardi seamlessly and give us instant access to results that automatically update our guest card in Yardi. I enjoy the ad blast because it helps market our properties and links well with SEO efforts. The back end reporting is convenient and helps us track our marketing efforts with ILS's. The demographics reports have been handy as well. "On-Site's E-Sign feature has saved us time!" The best parts of On-Site are the ease of application processing and the E-sign process. Each of these portions of the site have saved our sites an unimaginable about of time in the office. We have several communities where online applications are all that we get. The fact that an applicant can do all their applying online and e-sign our documents while they are in another state/country helps with our occupancy and the quickness of helping applicants find the right place to live! The system goes through enhancements quite often which can affect the performance of the site itself, but ultimately, the enhancements help our associates! The time and energy that our associate's are saving is very high. Applicants and residents alike can take all the time in the world to review our holding deposit paperwork and our lease agreements and then contact us with questions. There is not the rush to review 40+ pages prior to move in (which would take an hour or more sometimes!) and our applicants love how easy e-signing is. "After four years the On-Site product suite contiunes to be the best tech decision we've made"
Flexibility. On-Site's product offerings are about bolstering you business capabilities, not ramming a forced parameter on your business. On-Site has desired a partnership with it's customers, they offer our company the ability to server customers in more ways, locations and timelines then would be possible other wise. Honestly, we have not found anything four years in that made us question the product or team. Speak with a Sales Rep, they are very low pressure and really want to make sure they have an understanding of your business and it's individual needs. As mentioned previously the flexibility of the platform has been the biggest boon to our success. We are continuing to transition into a paperless environment. On-line leasing, document cloud storage have greatly improved our ability to move to a secure yet readily available cloud based platform. Secondly, the ability to custom tailor (with ease) these products to individual owner requests and property requirements has been a true benefit to our management company. "There is gold at the end of this rainbow!" What I like best about OnSite is that it's intuitively designed so even if you miss a training or are new to the team you can typically figure out where to go in OnSite because it's set up simply. The only thing I dislike is that there are 'industry standard' usability functionalities that OnSite is still working to implement. My hope is that by the end of 2017 we'll all be on the same playing field. Roll out slowly and in phases. As good as your teams are it's a lot of new information to absorb. With Entrata there was absolutely NO consistency across our communities. Through rolling out OnSite we've been able to create a clean playing field and set standards for everyone to adhere to. As far as business problems being solved, it defiantly helps with the organization of the office as well as for the future residents. I have realized many benefits with using On-Site, I have said this before and will say it again, it is convenient to use and very helpful. The ease of use. When dealing with hundreds of users we need a product that is easy to use to ensure that our users are able to adapt to the program quickly and with a minimal amount of training. It is self-explanatory for the most part and very easy for the applicants/residents to use which is probably the most important part! Their customer service is top notch!! They are an amazing company to work with and are very customer oriented and always go the extra mile to make sure that everything is working smoothly at our company. There's really not much that we dislike. We still have some integration issues with between On-Site and Yardi that are being worked out. We use On-Site to screen our residents from the time they first apply for an apartment. It is critical that their first impression (along with the website) is an easy experience for them, which On-Site does. The ability to do everything online for a prospective resident is very important as that is the way things are trending. Being able to apply, pay their fees, be screened, notified whether or not they have been approved and sign all of their lease paperwork from the comfort of their own home is such a tremendous benefit. Quick and easy credit screening results. We are able to control what we screen for. I like the fact that on-site is basically a one stop shop for many items needed in our field. As of now I believe we use about 4-5 products from on-site and each one is better than the last. It makes my work flow smooth and easy and I would suggest on-site to any other management company. There have been a few times where requests we have made weren't done on time which was a minor set back. However, once we brought it to on-site's attention it was taken care of promptly. Speed, organization and efficiency are all met in one location with on-site which definitely saves us office space from keeping outdated files. "Online Leasing Solution Made Easy"
On-site online application allows prospects to get screening results almost instantly and prompts them to continue on to the lease paperwork. This has helped us improve closing ratios and allowed for leasing to happen 24/7 - even outside of office hours. On-site's integration with Yardi can be tricky at first but as long as you make the right connections early on the support team will see you through any hiccups you may experience during implementation. Using On-site's payment platform powered by Paylease, we have been able to collect more app and admin fees upfront and have a higher percentage of residents paying rent online, which has reduced the amount of time our on-site staff spends scanning checks and money orders. not a way to filter leasing activity and residents to weed out cancelled apps/rejects as well as past residents. True leads get lost and current residents are hard to sort through. Credit check is not always accurate- system does not easily check for previous apps and fake info before running screens and giving false approvals. Leases are too long and cumbersome. Not made for student leases. Be sure to look through everything yourself and take the lease and credit checks for what they are worth. Easily get applications ran online and digitize signatures on leases. "On-Site has rocked our world!" Our support team and our account manager are the best at answering our questions and filling us in on updates and new features of products we already use. We love working with our rep and we love that he got to know us and our company so that he could provide the best products for our specific needs and in a way that these products could improve our workflow. There isn't much to dislike over at On-Site...oh, maybe just having to change my password every 3 months, but we know this serves a security purpose which can't hurt. Trust your team and know that they won't try to sell you products you don't need. We are going fully digital thanks to On-Site, no more wasted paper from faxes and printing. We are joining the rest of the digital business world and becoming more efficient at that! "EVERYTHING I NEED IN ONE PLACE!!" I open On-Site every morning, first I check for any pending applications to run, then I do my guest card follow ups, and all through out the day I am making new leases and lease renewals. ALL FROM ONE SPOT. The turn around time for back ground and criminal checks. When we used Yardi, there was never a wait. I would greatly recommend it. It houses everything I need in ONE PLACE, there fore I am always able to find what I need. Know they were purchased by Real Page and are positioning themselves to be better and larger for their clients. We use On-Site to screen applicants to apartment communities. We use the information they conglomerate and make sound business decisions. We have used On-Site for about 8 years now and they have always proven to be a trusted technology partner. Each and every product has positively affected our business and we have proven results to show for it. To be honest, we are very happy with all of the products that we use. We use just about all of their products from Online Leasing to Resident Screening. Just on one product alone we saw a 20% increase in applications being submitted which most assuredly drove revenue for our communities. On-Site is an easy to use software that allows for instant screening results and that's just a start. They have e-sign available for those who love the convenience of signing on your own time! Fantastic product that combines some of the best workflow leasing features in one fell swoop! The turnaround time for document changes. The convenience factor is HUGE for our company. We are more efficient and less likely to lose rentals because of how much and how quickly this site works. I think the screening product is great but the customer service that this company provides is incredible. I do not have any real dislikes with the product. I only wish there was a way to capture the criminal side of screening more timely. I don't believe that is a product issue but more how the county's store records. This company is very innovative and cutting edge. Customer Service is at the highest level. I like the quick turn around on screening. This helps us close the deal on the spot and we are less likely to lose an applicant in the process. The fact that you can get all of your reviews in one place. I get an email every morning with the previous days reviews and it allows us to get them to the property to cover any training issues or services. Wonderful product! There has not been anything that I don't like so far. We are still in the early stages with it, but so far, so good! We can train and course correct immediately. On-Site is the best website our company uses to keep track of residents leases and rent payments. It is very straightforward and easy to use. Finding the information needed is straightforward. Sometimes it does take a while for information to pull up on On-Site and it is a bit of a pain to just copy information. The ability to lease completely online with one program. Makes it easy for applicants to apply/qualify and sign their lease right from home! I love how easy it is to use On-Site. If you ever need help, they are right there helping you. I never have to wait very long to hear back from them! I haven't had an issue with On-Site yet, so there is nothing to dislike. We try to get our prospects approved and when they get denied, renters relations are always available to help! It's wonderful! The Stability and Flexibility of the products offered. Topped off with the dedication of the teams to get things right. Communicating with "techies" of which I am one, is sometimes difficult. Our Online presence, and consolidating of online apartment leasing within cities. "On-Site for property management tenant screening"
Easy to use and easy to screen tenants. Background checks can take too long to be completed resulting in lost tenants. "Great people and a great product! " On-Site is all about the people and the belief that they can create a great product that fits your housing needs. With any constantly expanding product you run into bugs. Moving our leasing online, screenings, payments, as well as lead management. On.site.com's electronic lease docs just work. The work flow is straightforward and our teams have rapidly adapted to their product. Changes tot he documents can be slower than we would like. If putting a hold on lease doc changes is feasible for your company, do that while you are implemented the product. Overall, the electronic lease docs product seamlessly integrates with their screening tool. We are reducing the time our staff spends walking new tenants through lease docs. "On-Site Leasing Suite - Hash Tag #Game Changer"
Not much I dislike. If anything, the turn around to adjust documents is the biggest area of improvement. Less paper. More efficiency and stream lined application process. On-site's e-sign has saved a lot of headache and time for our community. It's simplicity and effectiveness has helped lease apartments at a greater rate than before. The ability to navigate through the site can be difficult sometimes. We are signing leases at a much faster rate than before, reducing stress, and not losing as many clients. Very easy to use and detailed for helping clients. Sometimes it did take a while to get the back ground check back. Background checks and figuring out why some people didn't pass was very easy to do. Since the onset of On-Site, traffic tracking has improved by over 48%-this shows how important this software is! The process of wait-list & bulk special uploading . Tracking - seeing where we need improvement within our offices, follow ups and allowing us to close more leads. The fact that it streamlines the traffic process. It makes follow ups so much easier and allows us to hold our people accountable. The new menu change, you cant talk to anybody right away. Customizations for each individual need. And our account rep, he will happily help any situation. Length of time it can take for leasing agents to contact CS. The site is very user friendly and simple. Customer service could be better with calls. Running background and credit checks for residents. I like the ease of use and their attention to the customer. Document management, online applications, the list goes on..
* We monitor all On-Site reviews to prevent fraudulent reviews and keep review quality high. We do not post reviews by company employees or direct competitors. Validated reviews require the user to submit a screenshot of the product containing their user ID, in order to verify a user is an actual user of the product. Hi there! Are you looking to implement a solution like On-Site?